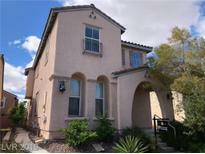 Below you can view all the homes for sale in the Asbury Park Summerlin subdivision located in Las Vegas Nevada. Listings in Asbury Park Summerlin are updated daily from data we receive from the Las Vegas multiple listing service. To learn more about any of these homes or to receive custom notifications when a new property is listed for sale in Asbury Park Summerlin, give us a call at 702-323-5933. With almost 1700 sf, this 3-bedroom/loft/2.5 bath home won't last long*Located w/in minutes of Downtown Summerlin & the new Las Vegas Aviators Stadium*Open floor plan w/great room features engineered wood floors & gas fireplace*Master bedroom downstairs*Island kitchen, granite countertops & upgraded backsplash*Fully landscaped yard w/patio*2 car garage w/full driveway*Includes refrigerator, washer and dryer! ! MLS#2084307. Keller Williams Realty Las Vegas. Home needs some TLC but location can't be beat! MLS#2078063. RE/MAX CENTRAL. Fruit trees in the yard have started producing fruit! MLS#2070911. Realty ONE Group, Inc. 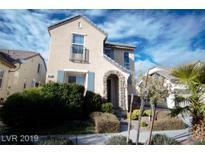 Location is excellent within 1/2 block to the local park and walking distance to Downtown Summerlin including shops, restaraunt and nightlife! Close to the 2/15 MLS#2064514. Century 21 Gavish Real Estate. Enjoy your evenings from the balcony! MLS#2064207. Coldwell Banker Premier. Walking Distance to Downtown Summerlin* This Home Offers An Extended Drive Way, Can Accommodate 3 Vehicles* 2 Car Garage With Cabinets And Storage Space* Granite Countertops* Open, Spacious Floor-plan* Ceiling Fans Throughout* Hard Wood And Tile Flooring* Carpet In 2nd And 3rd Bedrooms* Balcony* Covered Front Porch* Private Built In Spa* Water Softener* Neighborhood Parks* Numerous Walking/Jogging Paths* MLS#2062042. BHHS Nevada Properties. Top schools in the area. SID/LID paid off! MLS#2055303. City Villa Realty & Management. FIXER: Drywall, Patchwork, paint & TLC needed. Send reasonable offers! MLS#2026060. BHHS Nevada Properties.